Piazza San Marco is known as Saint Mark's Square in English. The square is named for Saint Mark, the Christian apostle and writer of the New Testament book of Mark. Napoleon is credited with calling Piazza San Marco the "drawing room of Europe." A statue called the Lion of Venice, an ancient bronze, stands watch over the plaza. The lion, already a symbol of St. Mark, is now the symbol of Venice. The lion appears on the prizes handed out to winners of the Venice Film Festival and the Venetian Flag. Four structures remain that predate the Renaissance: Doges Palace, St. Mark's Basilica, and the two columns in the Piazzetta. Because the plaza is situated just above sea level, it can flood when the rain is heavy or the Adriatic Sea surges. Piazza San Marco has been a destination for locals and visitors for more than a millennium. One of the world's top urban public spaces, the piazza stands atop the list with New York City's Times Square, Boston Common, and Trafalgar Square in London. Called Saint Mark's Square in English, the piazza is the center of life in Venice, lined by some of the best Renaissance architecture standing today. It's also an open-air museum of great sculpture, with each bronze and carved marble work of art telling a story. 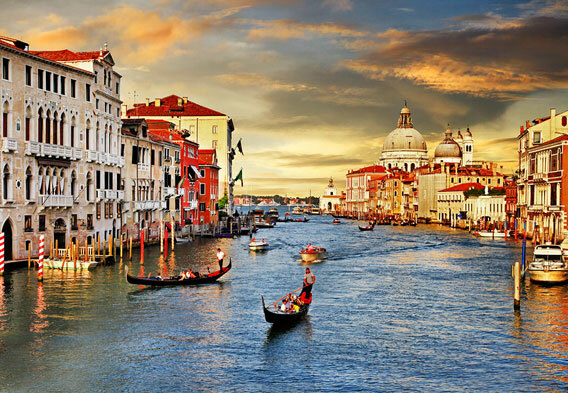 Today, Venice is the capital of the Veneto region in northern Italy. But for 1,000 years, it stood as the capital of the Republic of Venice. One of the centers of the Renaissance, the city long has been a hotbed of the arts, of creativity, and of forward thinking. Called the Queen of the Adriatic and the City of Canals, Venice long has been proud of its main square. The beginnings of the square dates more than 1,200 years in the past when a temple was built for Saint Theodore, the city's first patron saint. When relics from Saint Mark arrived in Venice around 828 C.E., the city adopted the apostle as their new patron saint. The first church dedicated to Saint Mark was built by 836. From there, the small church with a grass lawn grew into the important public space. History marched on-as new buildings were erected and new sculptures installed, Venice witnessed the Black Death, Crusades, the arrival of Renaissance, Napoleon's victory, and the changing political fortunes. As history changed around Venice, people still came to Piazza San Marco to worship, meet, shop, dine, and connect with culture. Today's visitors should make sure to bring a camera along with them because there's so much to see. The dominate feature of the square, to the east, is the mighty Saint Mark's Basilica, close to the Palazzo Patricale, the home of the Patriarch of Venice. Many of the Catholic Bishops to hold this position have gone to become Pope, including 20th century popes Pius X, John XXIII, and Pope John Paul I. The plaza also boasts a clock tower, standing since 1499, governmental buildings from the Renaissance, and Caffe Florian, which served its first drinks in 1720. Every year, more than 3 million people come to Venice, considered one of the most important arts and culture destinations in the world. Many come for the big events, including Carnival in the spring and the Venice Film Festival in the late summer. 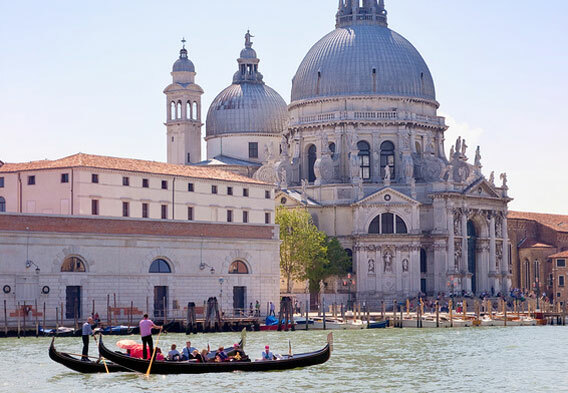 They also come to soak in history along Saint Mark's Square and along the waterfront-and to take a romantic gondola ride along the Grand Canal. 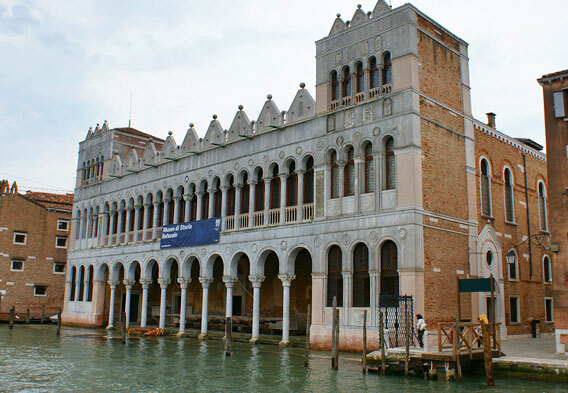 Venice visitors also make a point to experience its rich array of museums. Doge's Palace is one of 11 museums operated by the Fondazione Musei Civici di Venezia, and many of the museums are located along Saint Mark's Square. Museo Correr, at the southern edge of the square, now is a museum of art and culture. The Clock Tower on the northern perimeter of the square also is one of the 11 museums, as are the Glass Museum, museums dedicated to natural history, lace, glass, and other cultural topics. One of the five Solomon R. Guggenheim museums is located in Venice. Like the ones in New York City, Berlin, Abu Dhabi and Bilbao, Spain, this location features a vast collection of modern art. Another art museum, the Academy Gallery Museum of Art, focuses on works from the 13th to the 18th centuries. Because both art museums are close together, it's possible to visit both in an afternoon. With so much to see and experience in Venice, it's helpful to book one of the tours. A local guide can take you through Saint Mark's Square, sharing the stories of movers and shakers and ordinary folks who passed through over the centuries. An art tour can introduce the sculptures overlooking the square and the paintings hanging the museums. For more in-depth experiences, longer tours can be booked that take you to Saint Mark's Square to Venice and beyond. 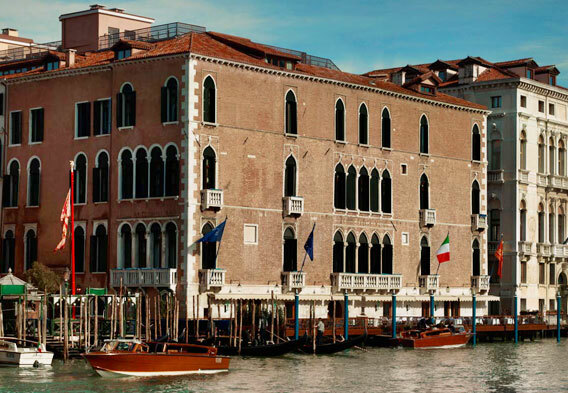 With nearly 400 properties and more than 100,000 rooms, Venice hotels are well-equipped for welcoming travelers. After all, Piazza San Marco has been a tourist destination, for more than 1,000 years. Today's hotels offer everything from chic boutiques to large international chains. Many of the old palaces have been transformed into hotels, offering an option not found just anywhere.